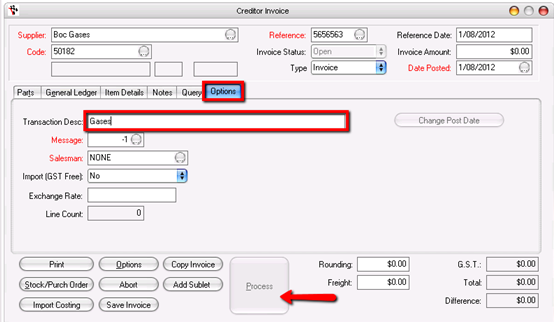 The purpose of this guide is to show you how to add a an additional description to a Creditor Invoice which may be handy if you want to track some detail on what the Creditor Invoice was purchased for. 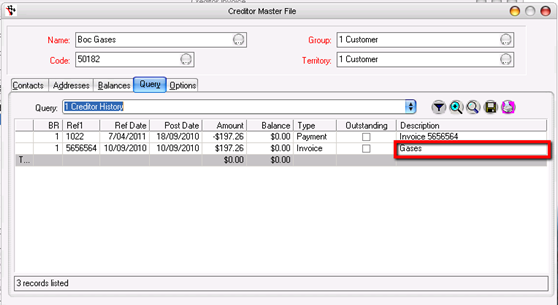 Click on the Query Tab, and choose Credit History. You can now check the description you have added.